Milviforce Puma N4 Nelspruit was instrumental in assisting to collect waters for the drought striken Cape. Owner and CEO Tshepiso Phosa together with Perfect Water matched all waters sponsored. 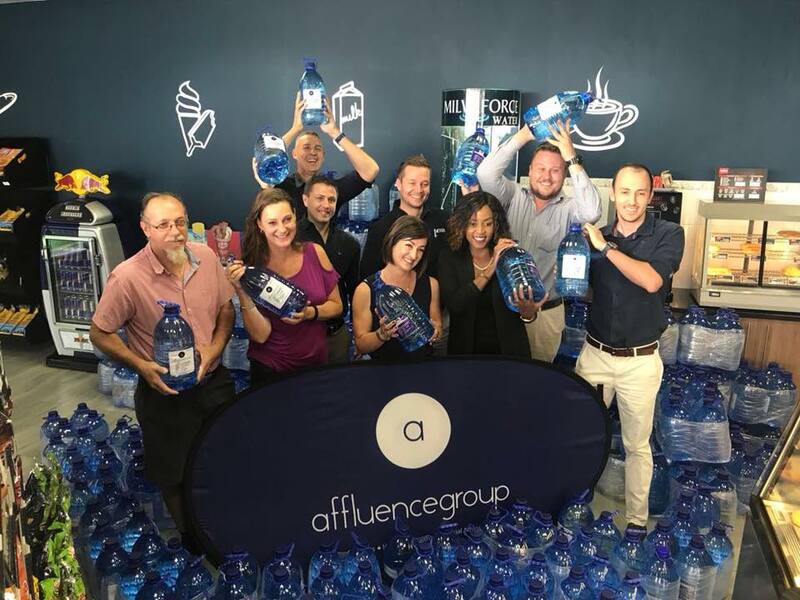 The following companies donated waters whilst challenging each other and together sending a fantastic 336 x 5 litre waters – 1.6 tons with Big Foot Express Freight: Affluence Group, Liberty, Discovery and Momentum. Thank you also to Neels and Radio Laeveld 100.5FM for giving this worthy cause the publicity which got Affluence Group to challenge their competitors, Junxion Communications for initiating the project and Skankane Transport for delivering the water to Nelspruit. A wonderful collaboration between a variety of companies!